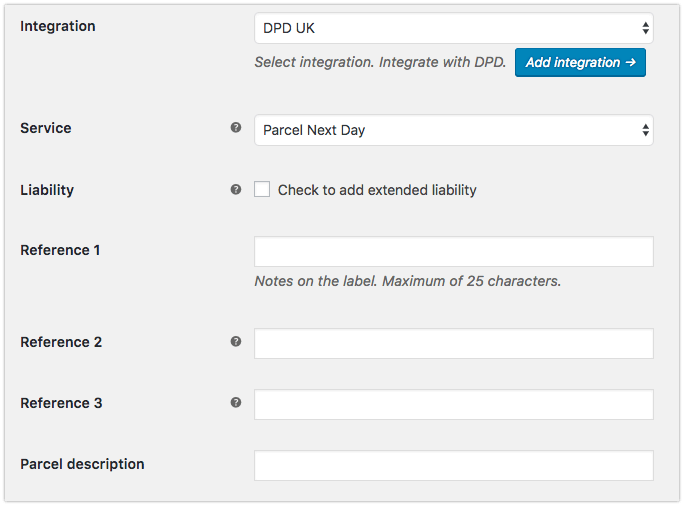 Integration Select DPD UK to enable integration for this shipping method. Liability Check to add extended liability. The amount will be automatically filled with the order total. Reference fields are maximum of 25 characters. If you add shortcodes, remember that you can't create shipment if the field exceed maximum of characters. Parcel description A small human readable description of the product.